This ambitious group show of six of the gallery’s artists and contributions from nineteen others focuses on the use of pattern and repetition, so we may set aside, if possible, all other thematic concerns. Many, but not all, of the artists begin with that oppressive instrument, symptom and metaphor of over-socialization—the grid—and then attempt to ameliorate it. Hermonie Only offers the grid in slight variations in thickness and tone, and the evidence of craftsmanship almost redeems the severity of the rules. Corkey Sinks jumbles a few areas and uses a non-rigid support to produce a wavy surface that feels pleasantly casual. David Salkin has applied a series of algorithms that distort discrete areas while maintaining the grid as a whole. In this case, technology has created the solution as well as the problem. Joell Baxter appears to have applied a similar strategy with variations in color that seem numerically organized by wavelength. Risa Hricovsky weaves pipe cleaners into a sculpture whose shape and color are as random as a pile of clothing, even as a grid firmly controls the surface. Emily Barletta weaves colored threads into little patches that appear to distort the erratic lines that separate them. The four variations are so delightful, the grid appears to have enabled rather than inhibited these artists’ expressions. Interesting contrasts can be found among several pairs of artists. Ron Thomas was a Cincinnati graphic designer whose symmetries suggest op-art and native American textiles, while confronting the viewer with a blast of fierce energy. By contrast, the pleasant, radial symmetry of James Jankowiak, a Chicago artist known for his public commissions, summons cosmic meditation on self-realization. Two younger artists, Jessica Labatte and Elizabeth Atterbury, photograph their own temporary studio installations. Atterbury’s cut-paper constructions offer whimsy and surprise, as an underlying grid seems to be peeling away. 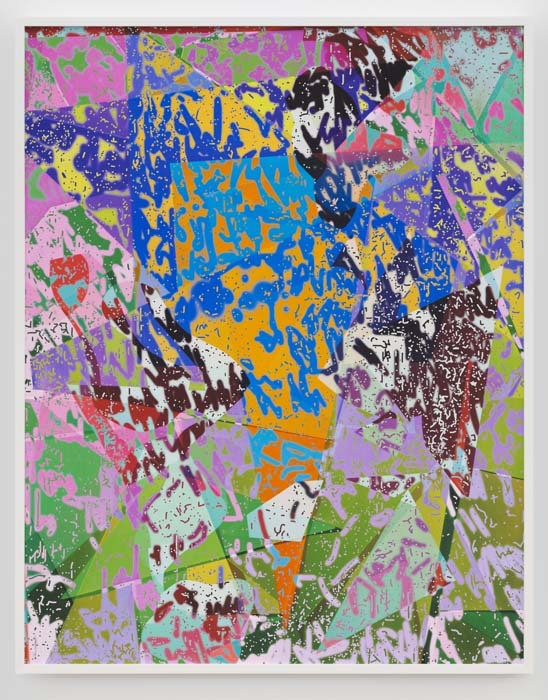 Labatte cuts up layers of various materials to build up a surface that recalls the power of heroic Abstract-Expressionism. 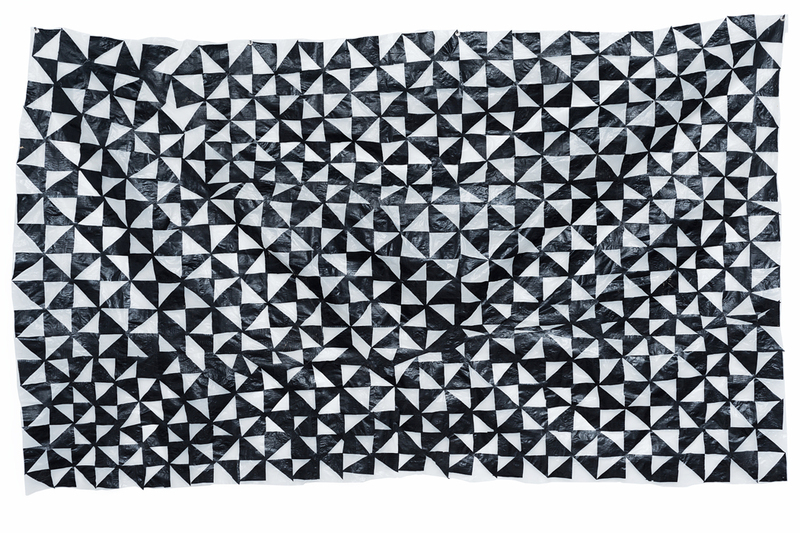 If a repetitive pattern was ever involved in her piece, it’s been overwhelmed with visual joy. “Underlying system is not known: Current trends in pattern and repetition” shows through February 18 at Western Exhibitions, 1709 West Chicago. Previous Post What’s the Point of Abstraction These Days?